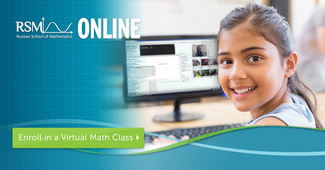 RSM Online : Russian School of Mathematics; RSM-Online. Free Math Evaluation. Russian School of Mathematics; RSM-Online. Free Math Evaluation. Please choose one of the available time slots for your child's free math evaluation. You will have an interactive audio-video meeting with RSM-Online Principal. Both you and your child are invited to attend. Note that all times are listed by Eastern Daylight Time (EDT). Please make necessary adjustments for your time zone. At the time that you signed up for, open classroom14.russianschool.com/guest in your browser. You will need to have a computer with a working camera, microphone and speakers, a stable internet connection and the latest version of the Chrome browser. Since we will be talking to both parent and child, you do NOT need a headset. You may want to run our diagnostics in advance, just to make sure that your setup is fine. During the session please refrain from using any application other than Chrome.